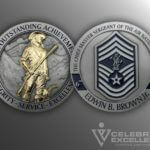 The most professional and trustworthy “Premier Military Coin Provider Ever”!! Ms. Tammany, Michelle and Brian navigated me through the design and purchase process with ease creating an incredible and unique “One of a Kind” coin!! The compliments on my personal coin are endless!! The Celebrate Excellence team is over the top incredibly awesome!! I would never think of using another company for my personal or professional coin!! 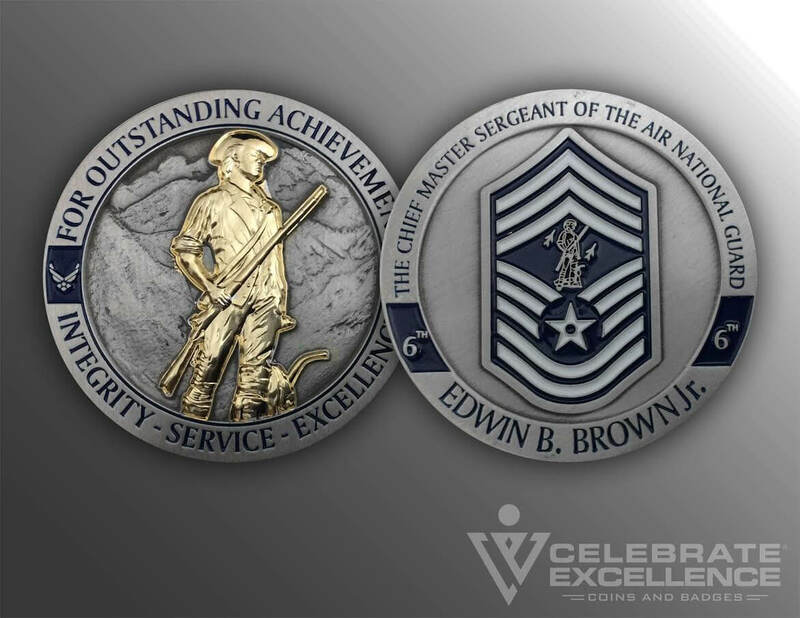 I’ve recommended and used Celebrate Excellence to design several coins for professional organizations since my tenure as the ANG 6th Command Chief … They have always treated these Organizations and Associations with the upmost professional courtesy… but most importantly with trustworthiness and respect!! They’re the Absolute Best!! You can’t purchase a more uniquely designed coin! The quality is limitless!!! CMSgt (ret) Ed Brown, Air National Guard 6th Command Chief Master Sergeant 1994-1998.